Beijing, Shanghai, Hong Kong, Singapore and Tokyo, have all integrated the core principles of Feng Shui into urban planning. And so it goes that the cities naturally become more attractive to urban dwellers and investors. The latter being key to economic growth. Taking a cue from Asia's boom, the world's biggest brands are trading up on some ancient currency. From beer to bonds, digital customer experience is becoming increasingly human-friendly. So who is bridging this gap between ancient principals and modern digital customer experience design? Enter Boz Zou, Head of User Experience at HeathWallace (pictured above), a JWT-owned global digital design powerhouse. He is the person behind applying ancient wisdom to create better digital customer experiences. "The goal of Experience Design is to bring a sense of harmony to the interactions of brands with their target market. I incorporate the principals of Feng Shui to make design usable and delightful for those who are consuming products, as well as those people who are in the business of marketing and selling those products," explains Zou. 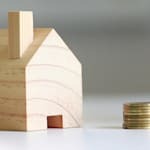 His expertise in the nine core principles of Feng Shui has placed him on some fascinating projects for large financial institutions like Citibank, Manulife and HSBC, to name a few. So let's run through those nine principals and how they are being applied. #1 Design for an integrated and holistic system. "When designing digital experiences, physical and various digital channels need to work coherently to provide a holistic consistent brand experience. User experience is cumulative across all channels and touch-points, as opposed to working in isolation." 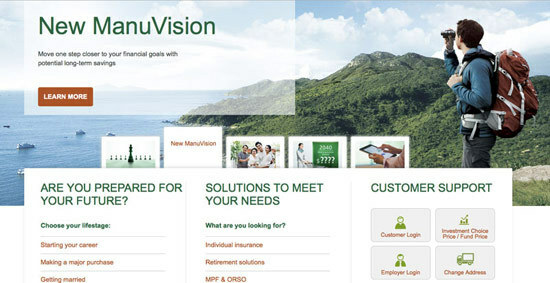 "Manulife as one of the leading insurance companies in the world and its core business is based on the strong human relationship between its large network of representatives and their customers. When designing digital customer servicing platforms -- such as web sites and mobile applications -- creating a harmonious and holistic ecosystem are keys for success. They achieve this by fully connecting customers to a digital world that truly reflects their lifestyle and needs." Google calls it Material Design. "We're hardwired to comprehend physical things," says Matias Duarte, vice president of design at Google. "Software all too often behaves in ways that break with our models and expectations," he explained in an interview with The Verge. #2 Design for responsiveness and consider the limitations of the surroundings. "Responsive design has become more and more crucial for successful customer experiences. People now interact with brands on a variety of devices and platforms. Understanding the limitations and advantages of each touch point and environment is crucial for the optimal customer experience." Today's customers are becoming increasingly tech savvy and reliant on the latest technologies. In many parts of the world, mobile devices have already exceeded desktop screens to become the first screen. Applying the Feng Shui principle of designing for the ever-changing context of use, and adapting to the limitations of the environment, is key to a good experience. 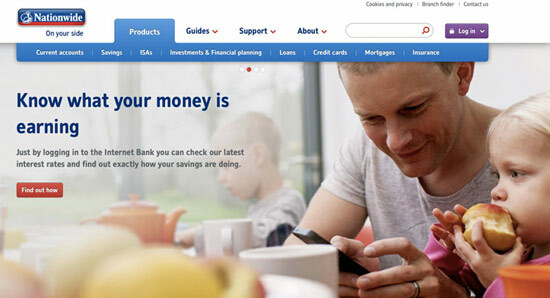 Nationwide recently launched its online banking experience with that principle in mind. No matter what device their customer is using, their website experience is always guaranteed to be seamless and delightful. #3 Design for context and examine the configuration. "Conducting thorough research and insights of the environment before planning and design is crucial. Knowing what already exist, what essential elements will impact the design, and what assets can be leveraged in the design, directly impacts the effectiveness of design." 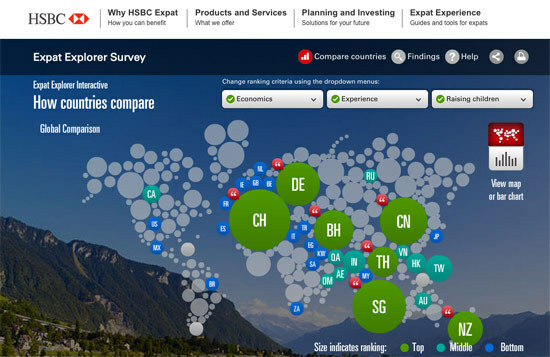 "HSBC Expat provides banking and investment services to people living and working abroad. Each year, HSBC conducts a large-scale survey to understand the lifestyle and challenges of an estimated 10,000 expats living worldwide. These insights help inform the design of their digital experience. While connecting the HSBC brand with thousands of expats around the globe, they effectively use technology to bring future expats closer to their dream destinations." "The best experience design is one that promotes the overall sustainability of the larger world. In order to design for sustainability, gaining insights into people and their environments is key, so that the right construct threshold can be determined." 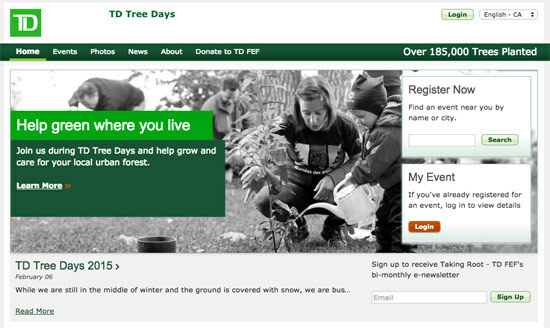 "As a financial services brand, TD bank is committed to promoting sustainability and improving the environment we live in. They are recognized as the 'Green Bank', not only because the design of their online and offline experience reflects the living green philosophy, but also because the bank is reducing its own operational footprint and supporting grassroots community projects. Helping people reach their financial goals, while contributing to environmental interests, achieves a harmony between business, people and environment." "'Qi' can be translated as energy flow, or attention flow. In designing a digital experience, having a clear hierarchy and cognitive flow ensures it is easy to follow and flow through naturally without hurdles, interruptions, or distractions. 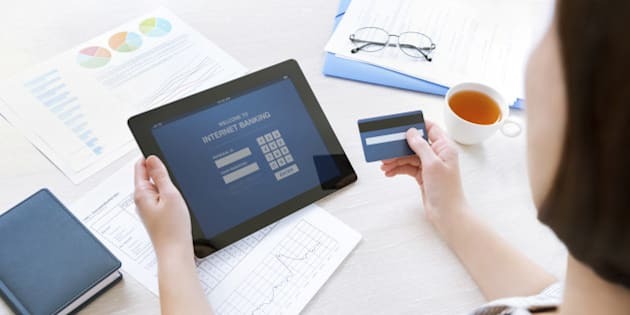 Especially in mission critical experience designs, such as e-commerce and banking, a seamless flow (Qi) is critical for lead generation and conversation, which directly impacts business success." "Movenbank is a good example of the 'digital native' banks that have emerged in recent years. These banks do not have the baggage of complex physical infrastructure that their brick-and-mortar counterparts do. They focus on human insights, transparency and simplicity, which allows them to create a fluid customer experience that reflects the core principle of Qi. Movenbank is also the first bank to allow customers to monitor their finance and change their spending behaviors following a seamless flow that is based on instant feedback via mobile devices." #6 Design for symmetry and suitably locate key elements in the center. "Symmetrical design allows balance, simplicity and consistency. This also helps with defining clear hierarchy and structure, so that it's much easier to understand and follow. In digital experience design, we place the essential elements in the center of the experience so that customers can easily find them and follow the desired flow." "As another 'digital native' bank, Simple Bank adopts a minimalistic and symmetrical design approach to provide a clear focus with visual balance and simplicity throughout their online experience. Thus giving customers access to a full range of banking services on their iPhones that enable users to easily track their expenditure, disposable income and saving goals on a single screen. "Aesthetics and beauty are essential aspects of pleasure and enjoyment. Not only should designs be made to be useful and usable, but also beautiful and enjoyable. Aesthetics vary by age group, gender and culture; therefore the correct aesthetics for the right audience and context must be developed." "The philosophy of 'beautiful banking' revolutionized the perception that banks are only about numbers and legal copy. 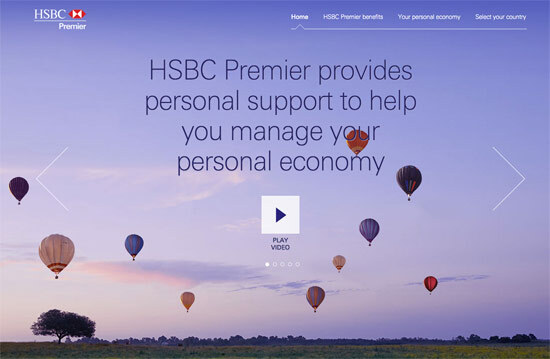 HSBC Premier successfully offers exclusive services to customers with a high net worth. To reflect the lifestyle and taste of their premium customer base, its brand experience design has become crucial in order to engage with the target market. By switching from purely transactional to design that uses lifestyle and emotional human conversations, they have extended customer relations with the bank." #8 Design for adaptability and progress. "Continuous evaluation and improvements are always needed. In digital experience design, no design is ever considered final. Since people and the environment, as well as technologies, are constantly changing. Progressive improvements are vital for the most up-to-date optimal designs." "From a small financial service start-up to a billion dollar business, Mint's technology and easy-to-use personal financial management system serves tens of millions of consumers around the world. Core to its success has been a commitment to change and improve user experience. Mint's advantage is its agility in adapting its services and design to the fast pace evolution of consumer expectations and behaviours, making it one of the most progressive financial services brands." #9 Design for the balance of Yin and Yang. "In digital experience design, Yin and Yang are best reflected in balancing contrasting properties of the elements. For example: dark v/s light colour; dynamic v/s static motion; horizontal v/s vertical orientation. Balancing and mixing these contrasting properties helps bring visual interest and harmony to the design, thus enhancing the overall experience. Also, by using contrasting properties, this helps guide the eye to focus on the most essential elements." 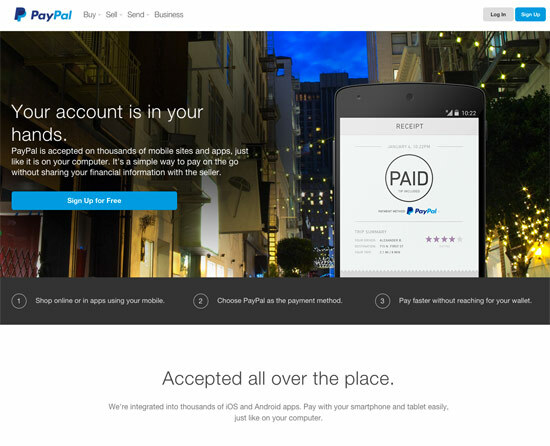 "PayPal is one of the world's largest pure digital payment platforms. From balancing colour and contrast, to using dynamic and static elements harmoniously, PayPal masters the balance of Ying and Yang throughout its experience design. They allow good accessibility and flow for users to follow through, making the overall experience pleasant and seamless." Influencing the world's biggest brands, and showing them how important users' need are, is no small task. Boz Zou travels the world to consult with the C-suites of global brands. 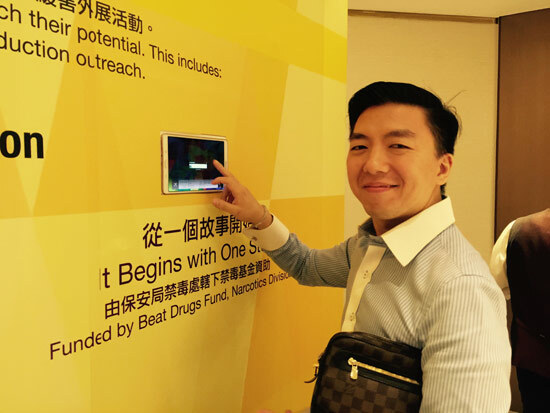 Active in global design communities, he has been invited to speak at various conferences, such as the NextBank conference in Asia. Zou also directed a documentary film about the influence of Feng Shui principles, and the philosophy of design for harmony, in large financial institutions and design agencies today.